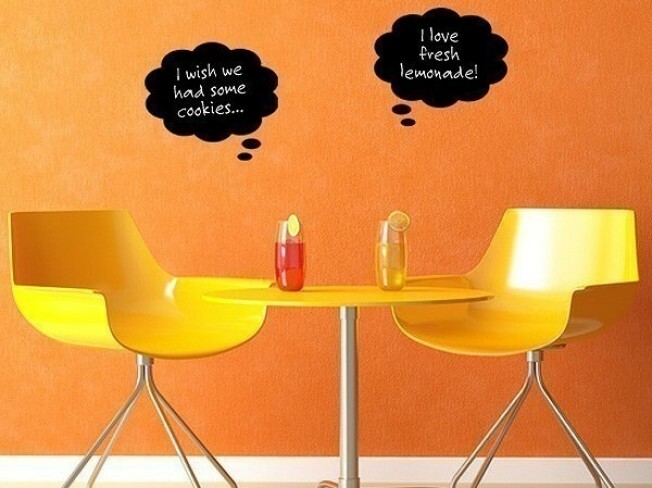 The vinyl chalkboard thought bubble, from Off the Wall Expressions. 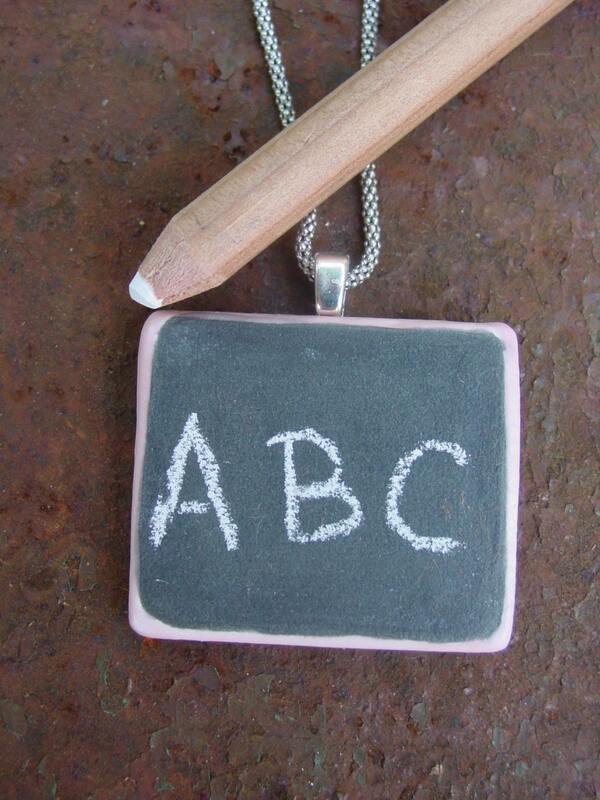 TWO CHALKBOARD NECKLACES: The Chalkboard Pendant, $8, from spittintoad (just the pendant; no chain). We like the idea of constantly changing our piece of jewelry, via erasing/scribbling, throughout the day. And the Chalkboard Locket, $30, from stylesmith. In case your heart changes its mind, and you have a piece of chalk handy.